discovers for its readers characters and fortunes of people who dedicated their lives to development of natural resources. They report main events and most important problems of the minerals and raw materials complex. They also publish views and analyses of leading Russian and foreign mining experts. Berg-Privilegies is a tribune for expressing views of representatives of all branches and levels of power and business-elite on most important and acute problems of current status and development of mining industry. They offer exclusive information on business development, legislation and special sections on history, art, spiritual and physical health. High-quality reporting and analysis of everything that is important for mining industry’ and government leaders and their families makes. BMI’s customers and clients span more than 140 countries worldwide, including more than 400 of the Global Fortune 500 companies. Businesses, banks, financial service companies, governments, academia and research centres have all come to rely on BMI’s analysis, data and forecasts – and have done so for 25 years. The company was awarded the Queen’s Award for Export Achievement in 1997. BMI is a wholly independent company, headquartered at Blackfriars, London, with foreign offices in Singapore and New York. The company currently employs over 170 staff and in excess of 40 specialist analysts and researchers across the globe. BMI’s corporate mission is to become the world’s No.1 Independent Information Provider in its field (Country Risk & Industry Research). The “Business Resource” Media Group is a Professional Organization Uniting Business Media, Public Relations, Advertising, Marketing and Business Consulting Services. There is number of printing editions: newspapers “Biznes&Vlast”, «Kazakhstan Yskery»; magazines «RBK Central Asia», «Nashi Dengi Central Asia». Also original teleprograms: «Territory of tenge», «Delovye novosti», «Umnaya Igra», «Azbuka Kapitala», “Znak Kachestva”, «Kazakhstan and worldwide economic», on-line and special projects on financial and economic themes. Goldletter International, based in Amsterdam, the Netherlands, is a premier independent information source on investing in the worldwide gold and uranium sector. Goldletter International is particularly featuring emerging gold regions in the world, including Russia, Central-Asia, China, Mongolia, Latin-America and West-Africa, as well as Canada and the US. Special Region Reports include overviews of exploration/development companies active in these regions, and reports on individual companies featured as a Special Situation. Specific attention is also paid to the emerging rare earths and future metals sector. Goldletter International commenced with covering the Uranium Industry in January 2005 and started the separate publication of Uraniumletter International in October 2005. Thanks to its distinct approach, like Goldletter International, Uraniumletter International has become one of the world’s premier sources for investing in the world-wide uranium resource industry. Goldletter European Forums and Uraniumletter European Forums inform the professional financial community in Europe about attractive investment opportunities in worldwide gold and uranium mining. The branch-wise informational and analytical magazine for miners and metallurgists was established in April, 2008 by the Republican Association of Extraction and Mining and Metallurgical Enterprises of Kazakhstan in order to familiarize the readers with the problems and prospects of mountain and metallurgical branch. Mining and Metallurgical Industry Magazine was accredited at the Administration of President of RK, the Parliament of RK, ministries and departments. Authors of the magazine are the best journalists and analysts of Kazakhstan and of near abroad. The magazine is a tribune on internal branch and interbranch problems. It is determined to attract attention of governmental and parliamentary people, public associations and trade unions. Our concept: publishing of analytical reviews, materials and prospects concerning development of mountain and metallurgical branch of Kazakhstan, articles on image of branch enterprises telling about their works, discovering historic facts on branch formation. Also, the edition covers the society and power corridor problems, events. Reader’s Audience: representatives of state bodies, directors and experts of the enterprises of the mountain and metallurgical branch and of its interfacing branches, top management of the companies which manufacture special techniques and equipment and suppliers of raw materials and materials, educational institutions of RK, businessmen. The Institute of Materials, Minerals and Mining exists to promote and develop all aspects of materials science and engineering, geology, mining and associated technologies, mineral and petroleum engineering and extraction metallurgy, as a leading authority in the worldwide materials and mining community. Its interests encompass the complete materials cycle, from exploration and extraction, characterisation, processing, forming, finishing and application, to product recycling and land reuse. The Institute was formed from the merger of the Institute of Materials and the Institution of Mining and Metallurgy in June 2002, and is the professional body for the international materials, minerals and mining community, with a membership of over 19,000 individuals worldwide, providing professional accreditation and qualifications, training and professional development. Members of the Institute come from a variety of backgrounds, from students to company chief executives. Members qualify for different grades of membership, ranging from Affiliate to Fellow, depending on academic qualifications and professional experience. The professional development programme run by the Institute helps contribute to members’ career enhancement towards senior grades of membership, and Chartered Engineer (CEnv), Scientist (CSci) and Environmentalist (CEnv) status. THE INTERNATIONAL BUSINESS MAGAZINE KAZAKHSTAN. Kazakhstanika National Branding Agency represents an international business magazine Kazakhstan. Mission of the magazine – Helping leaders of Kazakh business expand their capacities and reach for the international arena. Being a publication for professionals, this magazine only publishes accurate and quality analytical material in the sphere of business and investment. It draws special attention to the development of the oil and gas, mining and power engineering sectors; the transport and telecommunications, financial and banking markets; agriculture and other key sectors of the economy. Our readers are captains of the economy: leaders and top managers of investment and business structures, heads of national companies and development institutions, representatives of central government agencies, members of parliament, diplomats, private investors and independent experts. Another Kazakhstanika’s project is www.investkz.com, an informational and analytical web portal, which is aimed to develop an Internet resource dedicated to the most topical economic and business information about Kazakhstan. The project will enhance the prospects of the international business magazine Kazakhstan as an informational source for domestic and international businesses. 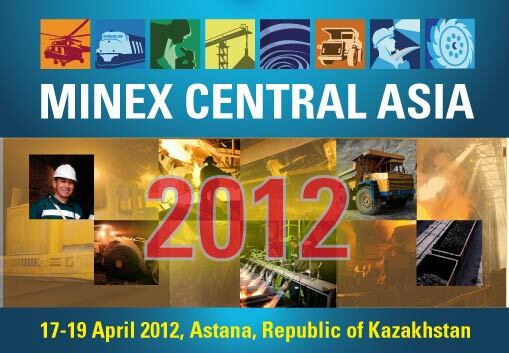 KAZAKHSTAN MINING INDUSTRY PORTAL specialises in Central Asian Region, which is dedicated for mining industry. Daily news of mining industry of Central-Asian Region and World, searching of exploration, building and project organizations, contacts with subsoil-users, investors and suppliers of equipment, analyzing of progress trend of mining industry. Mining Journal is the industry’s leading weekly newspaper covering all aspects of the global mining industry, from grass-roots exploration, through financing and development, to production and marketing. It packs news, in-depth analysis, viewpoints from senior players in the industry, market trend data, financial information and news of business development opportunities into one easy-to-read journal. www.mininginfo.kz- specialized Internet-resource presenting information on mining industry, mining-metallurgical industry and accompanying branches. Daily renewed news frame, analytical information, placing business-proposals from companies of scientific and technical and manufacturing directions, announcements of exhibitions, of conferences, of seminars and other specialized enterprises referring to mining industry. Target auditorium – the heads of enterprises, managers of superior and middle link from state, regional and private companies, internet-room users and visitors. All information resides in free access. Represented at major mining exhibitions around the world, the publications have been supporting the mining industry for over 100 years. The website www.mqworld.com offers a daily news-gathering service for the mining industry and lists current events, industry suppliers and operations. World Finance Review is a quarterly publication dedicated to promoting investments into emerging economies. For a number of years World Finance Review has been working with Governments and National Banks to attract international businesses and to foster direct investments inflow into Eastern Europe and Central Asia. World Finance Review strives to provide accurate and objective information and cutting edge analysis of trends and developments in economy, banking and finance, oil and gas, technology and innovations, investment climate and environmental issues. Editorial content of World Finance Review is contributed by global financial institutions and development organisations, governments and national banks, as well as by consultants, analysts and freelance journalists. The readership of World Finance Review is of the highest level, incorporating top decision makers and business people from all around the globe: CEOs and CFOs, private investors and entrepreneurs, representatives of banks and financial institutions.